Storage The center shelf is removable. 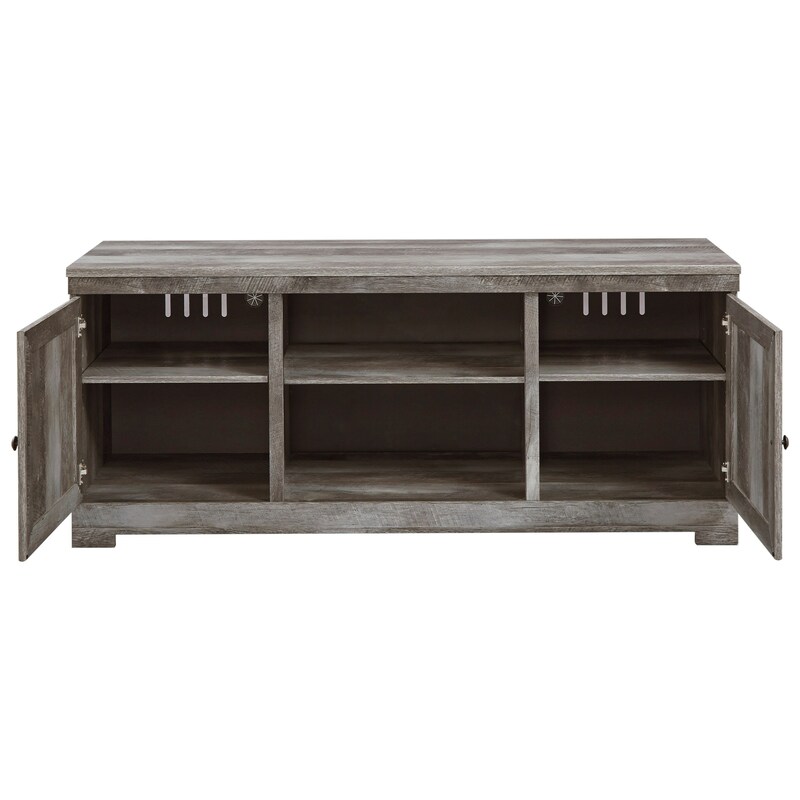 Behind each door is a fixed base shelf and adjustable shelf. 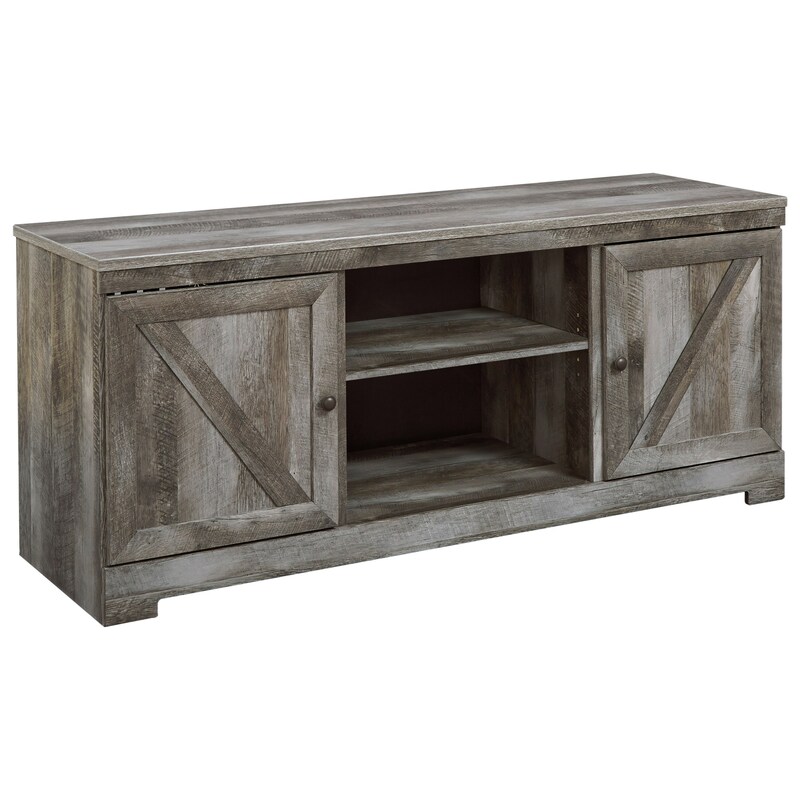 Media opening: 23" W x 18.5" D x 19.75" H. Side door opening (2): 18" W x 18.5" D x 19.75" H.
The rustic gray finish over replicated oak grain of this TV stand creates an inviting look for your home. 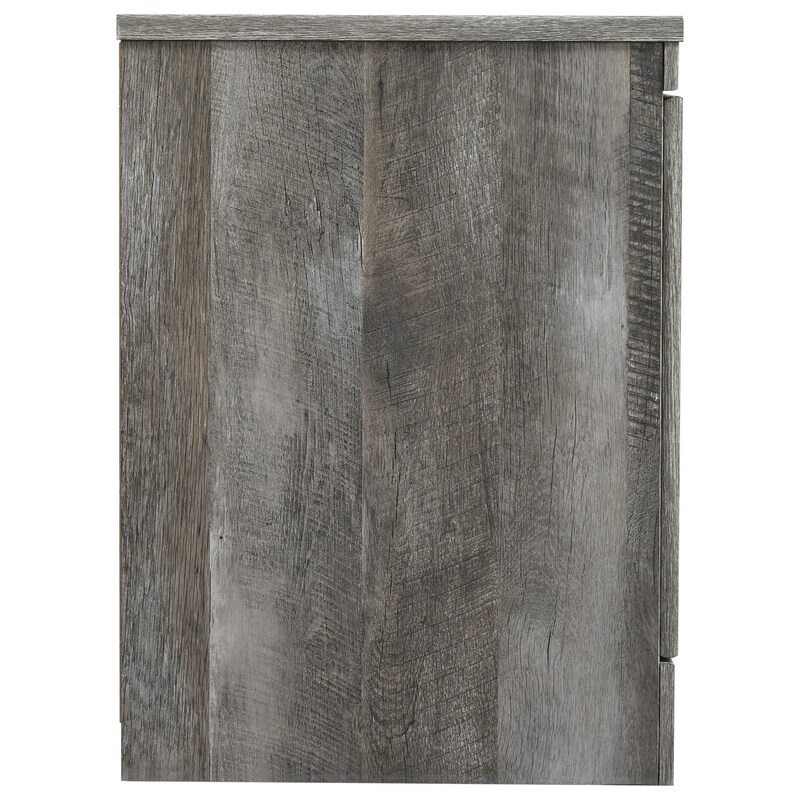 It has a casual farmhouse design with angled crossbuck details and round door hardware in a dark bronze finish. 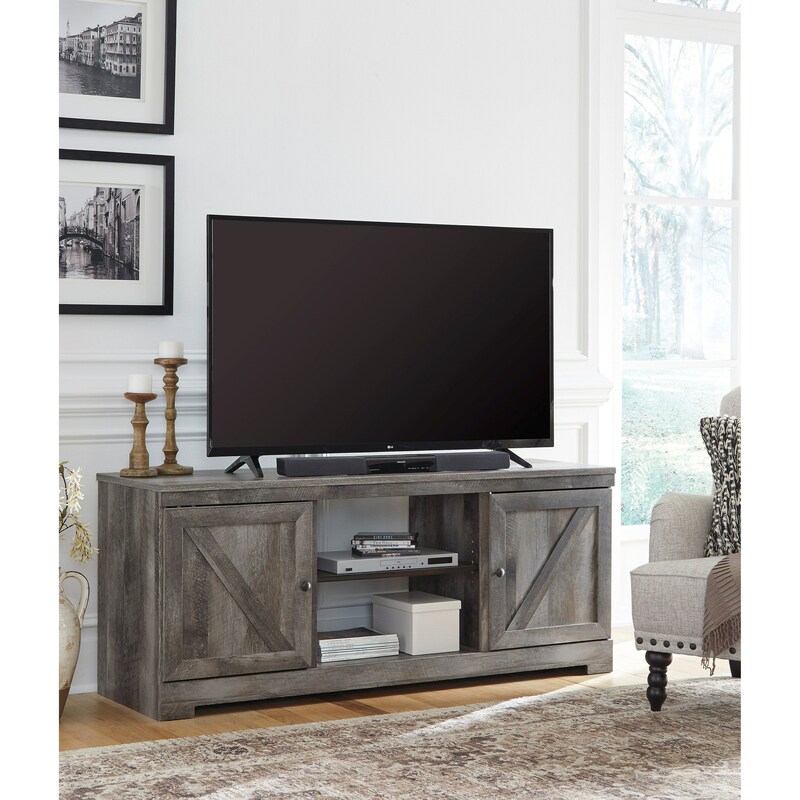 The simple clean lines make it an appealing choice for your entertainment space.